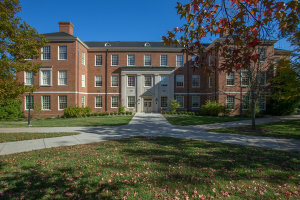 Miami University’s commitment to diversity and inclusion has been demonstrated in various departments, committees, workshops, and Faculty Learning Communities (FLCs) by welcoming and supporting students, faculty, and staff from diverse cultural, ethnic, linguistic, and religious backgrounds. Continuous efforts have been made to support domestic students and faculty to understand and interact with international students. However, inclusion of international faculty and TAs as a powerful teaching force has yet to be fully accomplished. In the academic year of 2017-2018, “Empowering the Non-Native English Speaking (NNES) Faculty and TAs at Miami” (FLC) addressed the concerns and needs of international faculty and TAs. The FLC members participated in extensive discussions, read scholarly articles, and reflected on their teaching effectiveness. They accomplished some of the set goals by producing mini-teaching portfolios that reflected their teaching and learning experiences, and consequently improved end-of-year course evaluations. However, as international instructors, they encountered challenges distinctly different from those of domestic faculty. Some common trends were easily confirmed: 1) lower scores on course evaluation due to ethnic, racial, cultural, or linguistic identities (Mthethwa-Sommers, 2012), 2) different academic backgrounds, 3) selecting appropriate teaching methods, 4) ineffective communication causing misinterpretation, 5) understanding implicit U.S. academic expectations, 6) meeting the needs of students and administrators, 7) engaging students in class, 8) striving for professional legitimacy (Reis, 2012). Nevertheless, the findings in the FLC showed additional issues: 1) challenges caused by restricted immigration (or visa) status, 2) race and gender oppression in the classroom (e.g., female international faculty teaching predominantly white male students), and 3) balancing family, academic, and career objectives and meeting cross-cultural expectations at Miami. The main goal of the new proposed FLC is to support and provide additional opportunities to motivated international faculty, TAs, and graduate students to fully utilize their multicompetences from their differing global perspectives. This effort will strengthen the tradition of Miami’s commitment for diversity and inclusion through undergraduate teaching. Members will reflect, develop, and apply good teaching practices in their colleges and departments, which can lead to their professional legitimacy. Members will read scholarly articles that explain a broader range of teaching experience to apply in their classes. Guest speakers (e.g., deans, provost, department chairs, international faculty and graduate students) will be invited to share various perspectives on international faculty and TAs, do discuss promotion or professional development opportunities, and to address their expectation for Miami faculty. Each member will create his/her mini-teaching portfolio to demonstrate effective teaching. Members will review the reflections and testimonies of the FLC in 2017-2018 to better articulate and understand the goals and challenges of this year’s learning community. Subsequently, the members of the new FLC will develop their own narrative which in combination with the previous year will be completed in a report to CTE and possible recommendations for the Office of Diversity Affairs and Global Initiatives. Members will administer multiple methods of teaching evaluations which may lead to improved formative final evaluation, aligned with the teaching mission of Miami and CTE. Mthethwa-Sommers, S. (2012). In search of permeable boundaries: A case study of teacher background, student resistance, and learning. Journal on Excellence in College Teaching, 23(3), 77-97. Reis, D.S. (2012). “Being underdog”: Supporting nonnative English-speaking teachers (NNESTs) in claiming and asserting professional legitimacy. Journal on Excellence in College Teaching, 23(3), 33-58.